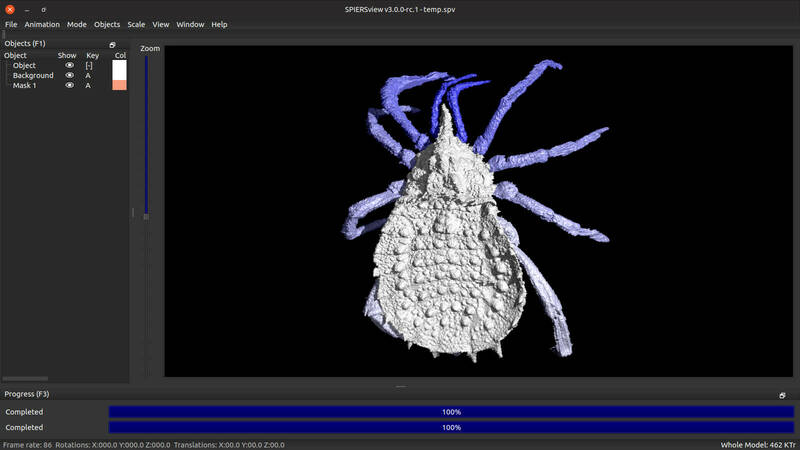 SPIERS (Serial Palaeontological Image Editing and Rendering System) is a package of three programs for the digital visualisation and analysis of tomographic (serial image) datasets, such as those obtained from serial-grinding of specimens, or from CT scanning. 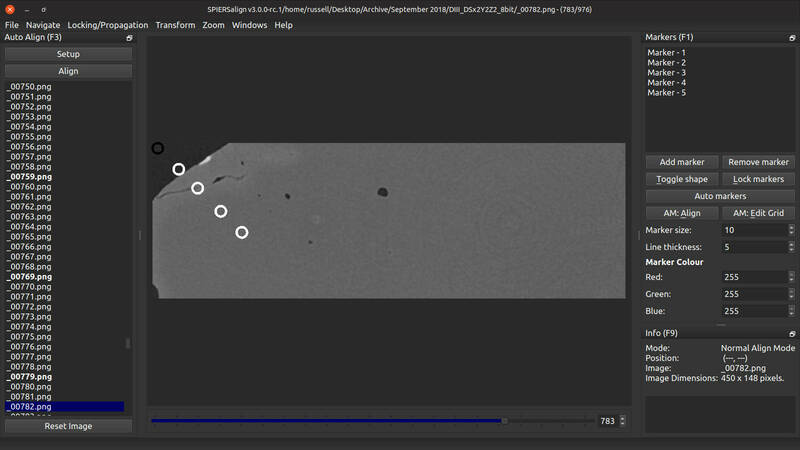 The SPIERS software suite can be used to create 3D surface models from slice-based data. It is coded in C++, and employs cross-platform application framework Qt. The package comprises three applications, all of which are freely available and fully documented. SPIERSalign - A tool to allow manual aligning (registration) of images in serial datasets (not required for CT data), and to crop data to 3D region of interest. 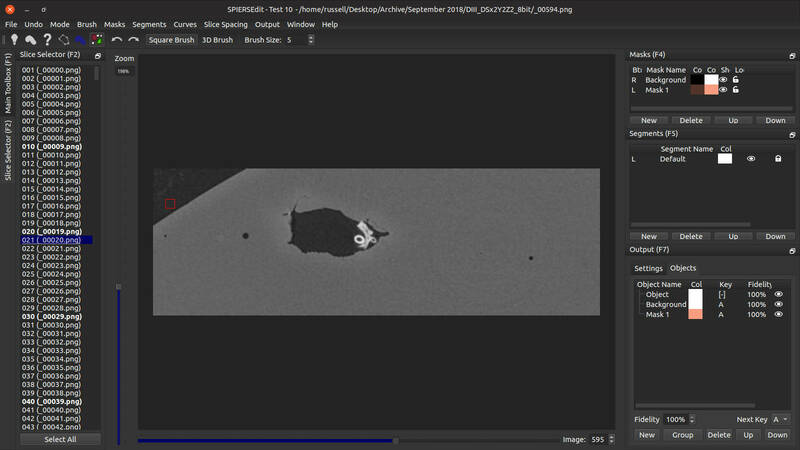 SPIERSedit - Software to prepare and manipulate (aligned/registered) tomographic datasets for viewing. SPIERSview - A 3D viewer for SPIERS and VAXML datasets (meshes in stl/ply linked using an xml file – more details). SPIERSalign, SPIERSedit and SPIERSview are written and maintained by Mark Sutton (m.sutton@ic.ac.uk), Russell Garwood (russell.garwood@gmail.com), and Alan R.T. Spencer (alan.spencer@imperial.ac.uk). Bug reports and feature requests can either be submitted through GitHub, or by emailing palaeoware@gmail.com.